The project captures the Canadian rockers and their fans during the band’s “R40” tour, rumored to be the last tour of its kind and the end of their life on the road. Fathom Events will screen “Time Stand Still” in theaters across the continent, with the main feature accompanied by an exclusive 20-minute film "Rush: A Salute To Kings." The short presents fellow rockers like Red Hot Chili Peppers drummer Chad Smith, Kiss' Gene Simmons, Heart's Wilson sisters, Foo Fighters' Taylor Hawkins and more sharing their thoughts on Rush. 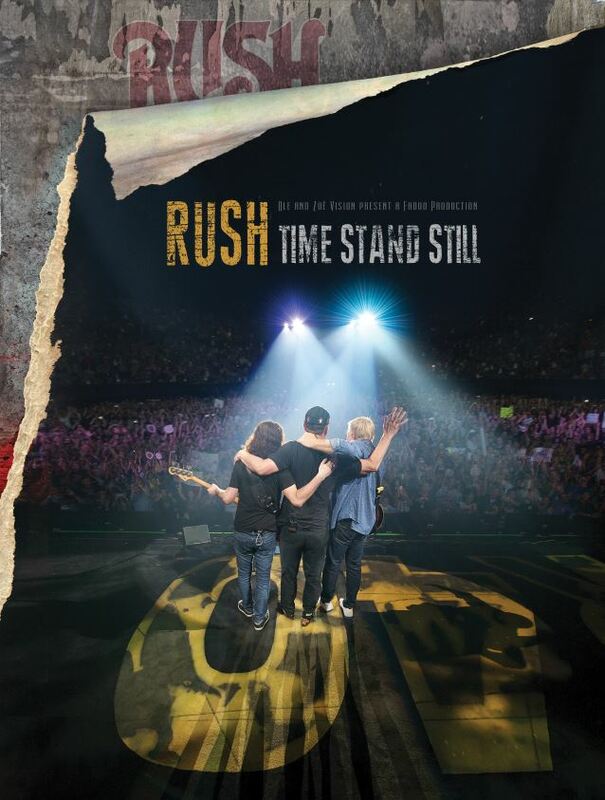 “Time Stand Still” will be released on DVD and Blu-ray on November 18.